Lauren Oliver is the cofounder of media and content development company Glasstown Entertainment, where she serves as the president of production. 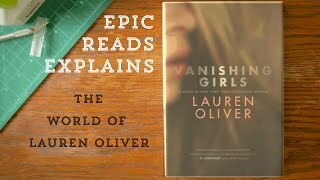 She is also the New York Times bestselling author of the YA novels Replica, Vanishing Girls, Panic, and the Delirium trilogy: Delirium, Pandemonium, and Requiem, which have been translated into more than thirty languages. The film rights to both Replica and Lauren’s bestselling first novel, Before I Fall, were acquired by AwesomenessTV; Before I Fall is now a major motion picture and opened in theaters March of 2017. 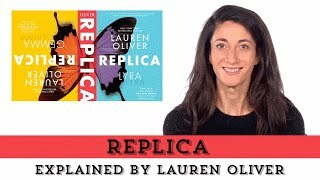 The sequel to Replica, titled RINGER, is her most recent novel and will be released October 3rd, 2017. Her novels for middle grade readers include The Spindlers, Liesl & Po, and the Curiosity House series, co-written with H. C. Chester. She has written one novel for adults, Rooms. A graduate of the University of Chicago and NYU’s MFA program, Lauren Oliver divides her time between New York, Connecticut, and a variety of airport lounges. You can visit her online at www.laurenoliverbooks.com.